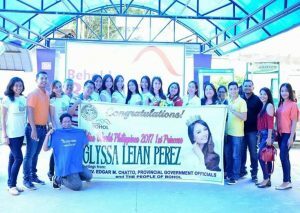 TRIUMPHANT HOMECOMING: From airport to hotel, Miss Bohol 2016 and now Miss World Philippines 2017 First Princess Glyssa Perez is warmly received by the Boholanos. Everybody loves a winner. 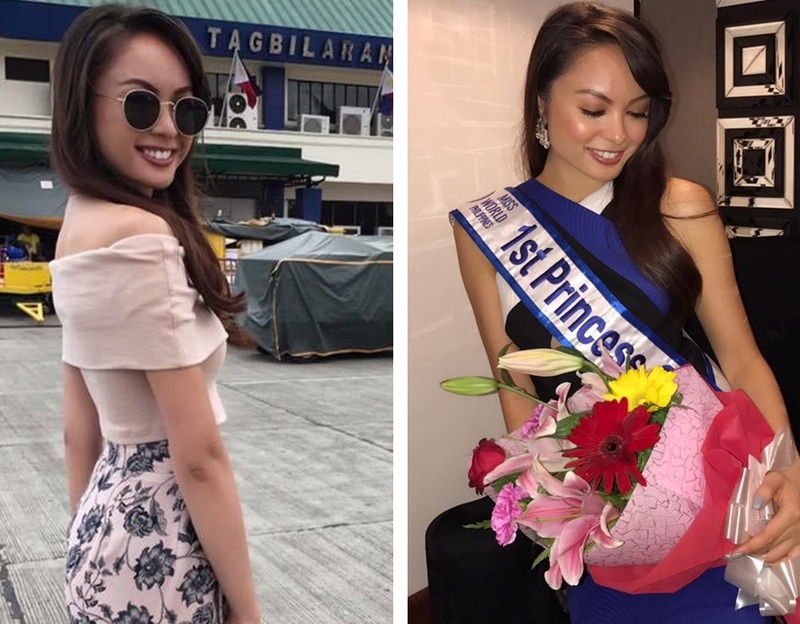 This was proven once again with the recent homecoming of Miss World Philippines 2017 First Princess Glyssa Bingas Perez with the wholehearted welcome afforded her from the moment she stepped home at the Tagbilaran City Airport. 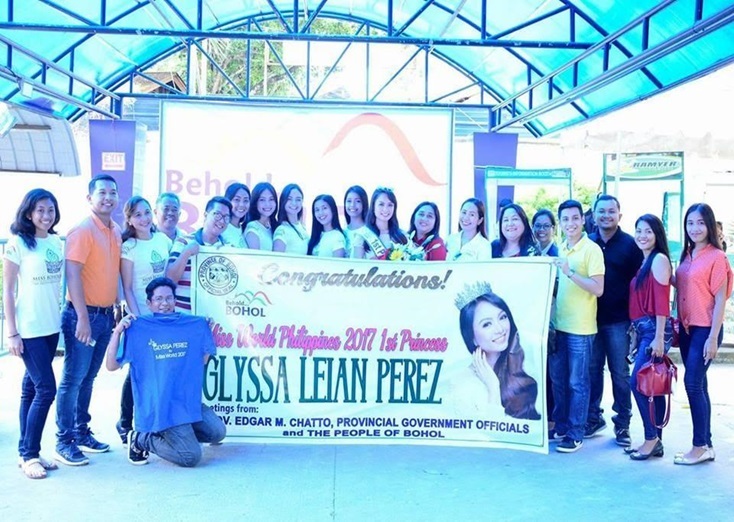 Her homecoming parade was reminiscent of the one that Anna Maris Igpit had when she was crowned Bb Pilipinas- World 2006. Everyone craned their necks to get a glimpse of the lovely Boholana who traces her Boholano roots to Danao town, care of mom Yolie Bingas. A warm welcome and reunion with friends from her Miss Bohol journey. 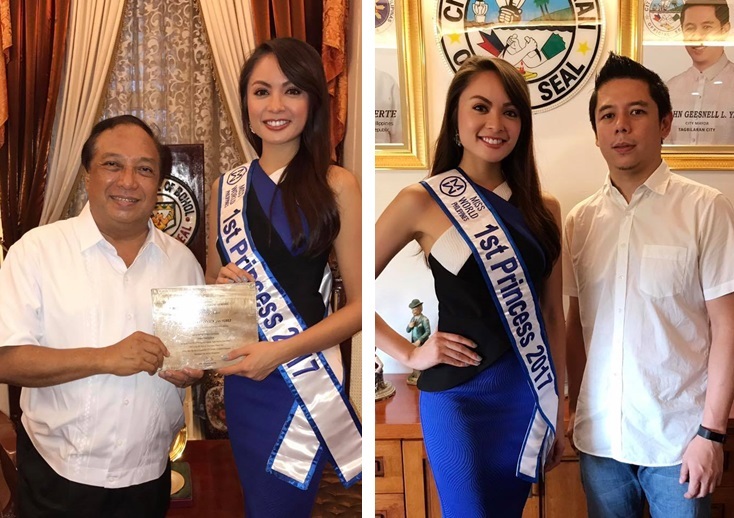 Courtesy calls to Bohol Gov. Edgar Chatto and Tagbilaran City Mayor Baba Yap were punctuated with photo mementos. The celebrated and high-profile beauty queen tried her gracious best to accommodate everyone’s selfie request.